The results from the inferential analysis have been discussed in the current section. In this research various inferential analysis have been performed. This includes the t- test, ANOVA test, cross tabulation and chi square test and the correlation data analysis. The first section of the inferential analysis is devoted to the t-test. In this case the independent sample t test has been conducted. The main objective of conducting the t test is to examine whether there is difference in the emission for the firms between two different groups of firm. The first group is firm is those who have integrated the climate change and the second is the other group who have not integrated climate change into their business (Kuada 2012; Kumar 2014; Mangal & Mangal 2013). The results are shown below and as the table suggests, the mean change in the firms who have integrated climate change into their business is -24.76. In other words on average there is 24 % decline in the carbon emission as compared to the previous year if the company has integrated. On the other hand the average decline is only 8 % if the company do not integrate climate change into their business strategy(Najah & Cotter 2010; Orsato 2017; Winn et al. 2011). Findings from the Independent sample t test is shown in the table below. As the results suggests, the Leven’s Test for equality of variance value is 3.157 and the significance value is 0.081. So, the test is statistically significant as the 95 % confidence interval has been taken into consideration. The mean difference is -16 when the equal variance is assumed. Apart from the t test the ANOVA test has also been conducted as a part of the inferential analysis. Since the t test can be conducted only with the two categorical variable, the ANOVA test has been conducted so that the variable with more than two categories can be taken into consideration. The findings from the ANOVA are shown in the above table and it shows that the F value is 0.483 with the 2 degrees of freedom. However the significance value is 0.62, which is not statistically significant at 95 % confidence interval which has been taken into consideration for the current research. The first ANOVA has been conducted to examine whether there is difference in the carbon emission for different countries included in the study. Since, the F statistics is not significant at given confidence level, so it can be concluded that there is no statistically significant difference in the carbon emission between the countries(Phimphanthavong 2013; Hogan Lovells 2014; Skaza, Student & University 2013). The results from the multiple comparison also show that there is no significant difference between the countries. For example in the first row the different in carbon emission for Canada and Brazil is shown. For this the significance value is 0.808 which is higher than the minimum value of 0.05. So, there is no statistically significant difference. One of the main reason for such results can be the similar business environment regulations in these countries and also the similar type of industries taken into the sample. Since the similar types of the firms are expected to have similar carbon emission, which has led to similar carbon emission in these countries. Another important ANOVA test for the current research has been conducted to examine whether there is statistically significant difference in the carbon emission for the firms in the different sector. This will give an idea whether the different sectors have different carbon emission. The results from the ANOVA are shown in the table below. For the current section, the firms were divided into different sectors, so that the analysis can be conducted and comparison can be made. Results from the ANOVA test suggest that the F value is 1.63 with the sum of squares between the groups as 329.322. However the significance value for the F statistics is not statistically significant as the value is higher than the minimum value taken into consideration for current research. So, it can be concluded that the emission of carbon is not statistically significant different for firms in the different sectors. However on the basis of the previous research and the findings, it was expected that the manufacturing firms have higher carbon emission as compared to the firms in the service industry. The comparison of each sector with the other sector has been shown in the above table and as per the expectation the mean difference between the manufacturing and the service industry is statistically significant as the significance value is less than 0.1. However, for the current case the significance level of 95 % has been taken, so this cannot be taken as the significant result. The sample taken into consideration for the study may have affected the results. If similar study is conducted on other firms the results may be different. Another important analysis which has been conducted using the ANOVA is to test whether there is statistically significant difference in the spending on the energy for different countries. Results from the analysis show that the F value of 11.619 is statistically significant at 5 % confidence interval. The Significance value is very close to zero. So, it can be concluded that firms in the different countries have significantly different spending on the marketing management. H0: There is no significant difference in the change in the carbon emission for the firms who takes climate change into consideration while making the business strategy from those who do not takes into consideration. H1: There is significant difference in the change in the carbon emission for the firms who takes climate change into consideration while making the business strategy from those who do not takes into consideration. Result: Since the value of Levene's Test for Equality of Variances significance is more than 0.05, the null hypothesis cannot be rejected. The current research is aimed to examine the carbon emission among the firms in different sectors. For the analysis purpose the secondary data was collected among the 60 different firms from different countries. Also different sectors were taken into consideration while selecting the sample. Both the inferential and the descriptive analysis has been conducted. The results from the inferential analysis has shown that there is significant difference in the spending on energy for different country. Also among some countries the integration of the climate change while taking the business decision are statistically different. The results from the data analysis also shows that there is no significant difference in the change in the carbon emission for different countries taken into consideration for the current research. However, it was expected that the change in the carbon emission would be different for these countries. This is because the countries included are developing and the developed countries. The firms in the developed country are expected to have higher reduction in the carbon emission as the government regulation in the developed are stricter as the government are more concerned about the environment and the climate change(Wai 2012; Antonio et al. 2013; Rohde & Muller 2015; Luo et al. 2014). Whereas on the other hand, the government in the developing countries are less strict about the carbon emission. This is because they are in the growing phase and the government do not want their firms to have extra regulation for production and reduce the production. This is especially true for the manufacturing firms as compared to the service sector. So, the different results in the current research is due to the fact that the manufacturing firms produces more carbon as compared to the service firms (Hassaballa 2013). The analysis and the results from the current research have both practical and theoretical implications. The results can be used by the various government and international organization working on climate change to track how the carbon emission have changed for firms in different countries and also in different sectors. Also the areas where there is significant gap can be identified in terms of energy spending and the carbon emission. Furthermore the results can be practically use to track the companies which have not taken into consideration climate change in their business strategies. On the other hand the research can be used by other researchers to develop the new theories. Also the tests and the techniques used in this research can be used by other researchers. One of the major limitation of the current research is that there is no qualitative study included for the analysis. The sample size is comparatively less and only few countries have been taken into account. There is no regression analysis included which could have been more effective technique. Further research can be conducted by taking into account other environmental factors as well as the more corporate governance variables which will provide clearer view. Also, the study can be conducted using other and larger sample size. The qualitative study can also be included for future research. Similar research can be conducted using the regression analysis. Similar research can be conducted using data from other countries around the world. 1. Antonio, L, Lopez, Arce, Guadalupe, Kronenberg & Tobias 2013, ‘Pollution haven hypothesis in emissions embodied in world trade: The relevance of global value chains’, The wealth of nations in a globalizing world, pp. 18–19. 2. Field, A 2011, Discovering Statistics Using SPSS 3rd edn, SAGE Publication, California. 3. Greenland, S, Senn, SJ, Rothman, KJ, Carlin, JB, Poole, C, Goodman, SN & Altman, DG 2016, ‘Statistical tests, P values, confidence intervals, and power: a guide to misinterpretations’, European Journal of Epidemiology, vol. 31, pp. 337 – 350. 4. Hassaballa, H 2013, ‘Environment and Foreign Direct Investment? : Policy Implications for Developing Countries’, Journal of Emerging Issues in Economics, Finance\ and Banking, vol. 1, no. 2, pp. 75–106. 6. Johnson, ME, Zhao, X, Faulkne, B & Young, JP 2016, ‘Statistical Models of Runway Incursions Based on Runway Intersections and Taxiways’, Journal of Aviation Technology and Engineering, vol. 5, no. 2, pp. 15–26, retrieved from <http://docs.lib.purdue.edu/cgi/viewcontent.cgi?article=1121&context=jate>. 7. Kuada, J 2012, Research Methodology: A Project Guide for University Students, Samfundslitteratur.Kumar, R 2014, Research Methodology: A Step-by-Step Guide for Beginners, SAGE Publications. 8. Luo, Y, Chen, H, Zhu, Q, Peng, C, Yang, G, Yang, Y & Zhang, Y 2014, ‘Relationship between air pollutants and economic development of the provincial capital cities in China during the past decade’, PLOS ONE, vol. 9, no. 8. 9. 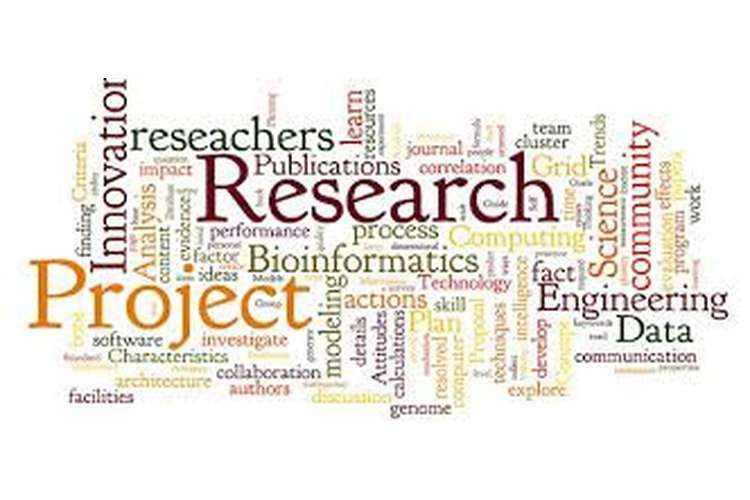 Mangal, SK & Mangal, S 2013, RESEARCH METHODOLOGY IN BEHAVIOURAL SCIENCES, PHI learning pvt. ltd.
10 Najah, MM & Cotter, J 2010, Are climate change disclosures an indicator of superior climate change risk management?, Queensland.